Excellence in Architecture/Urban Innovation was awarded to Alan Pullman and Michael Bohn of Studio One Eleven. The core of Studio One Eleven’s practice is the renewal and repair of existing cities utilizing a methodology rooted in the integration of architecture, landscape and urban design. They look for the best fit for a community’s needs. 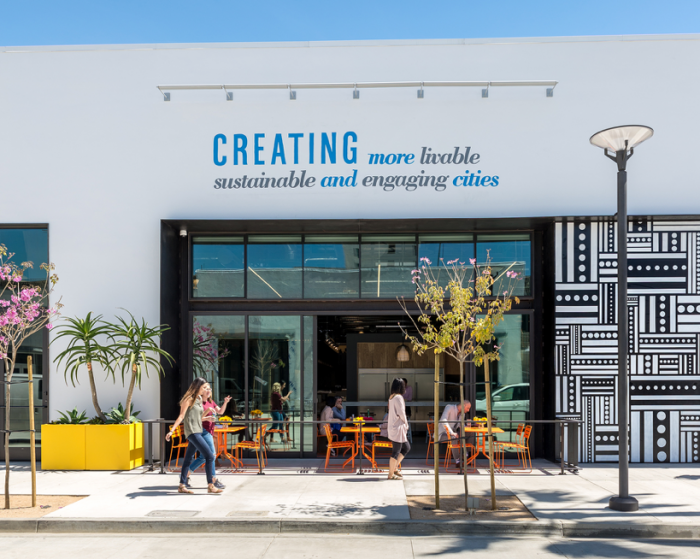 They work to adaptively repurpose existing urban spaces to bring energy and community interaction into relatively underutilized and/or dormant neighborhoods. They look at how to repurpose a building and keep the story. They are definitely representative of architects of the 21st century who have focused on creating spaces that foster connection and community. By combining the old and the new, historic buildings and neighborhoods are given new life and relevance for communities of today. The Heritage Conservation Award for the Frank Brothers collaboration recognized the combined efforts of authors Cara Mullio and Jennifer Volland, Nancy Frank, and the University Art Museum. The UAM sponsored a tour of some of Long Beach’s midcentury modern homes followed by a highly successful exhibit which showcased a variety of vignettes from the store along with pieces from the Frank family’s personal collection as well as an exuberant display of creative print media. 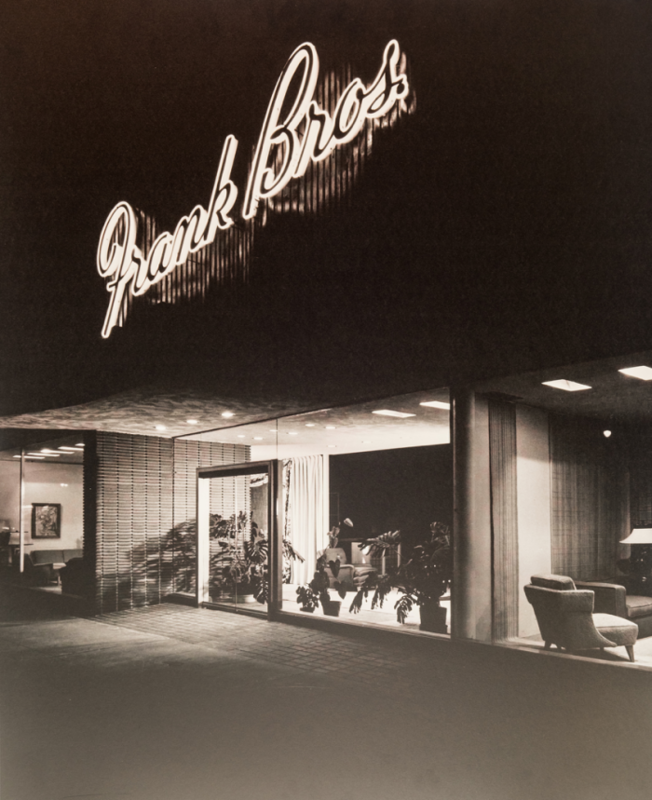 The exhibit and the book by Cara and Jennifer titled Frank Bros.: the Store that Modernized Modern showcased the innovative presentation techniques of the Frank Bros. and revealed the modern design influence the Long Beach retailer had across an entire country. The award was accepted by Brian Trimble, Associate Director of the University Art Museum. 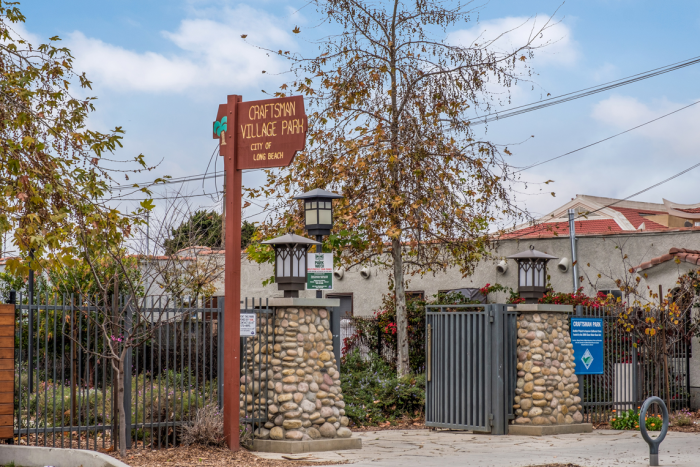 Where once there was an empty dirt lot in the midst of lovely historic homes, there is now a beautiful green space at 851 Orange Avenue for residents of the Craftsman Village Historic District thanks to the efforts of their neighborhood association. Their vision and perseverance has transformed a blighted space into a pocket park that complements the historic nature of the area. An award for Contextual Infill was presented to the Craftsman Village Neighborhood Association and accepted by Michelle Arend-Ekhoff and Tim Schugt. 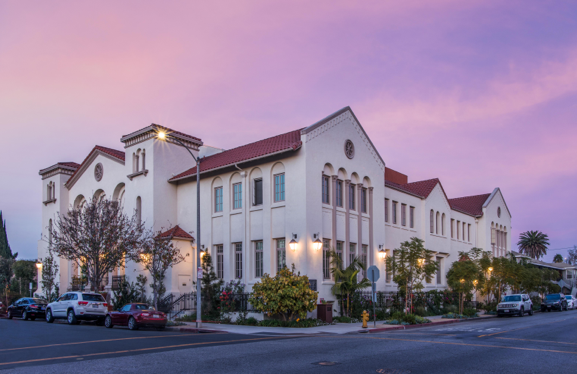 An incredible example of adaptive reuse is the former Immanuel Baptist Church at 3215 E. Third Street which has been transformed into 24 one-bedroom apartments for low-income seniors through the creative partnership of the City of Long Beach, Thomas Safran & Associates and Clifford Beers Housing. 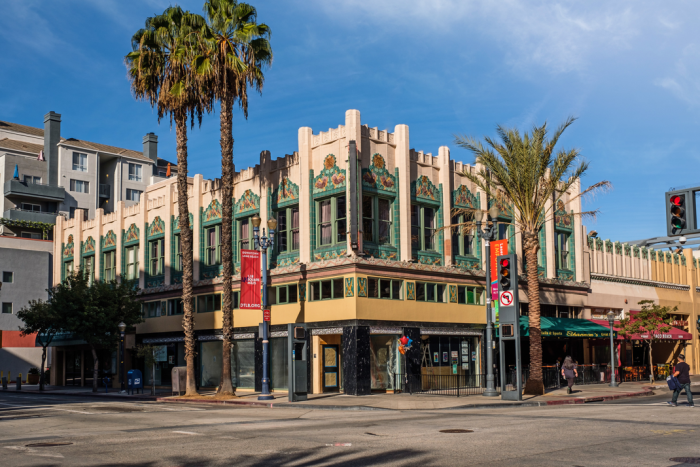 Originally designed by Long Beach Architect W. Horace Austin and built in 1923, the building has been given a new life while retaining much of its architectural heritage thanks to the sensitive approach to the historic detail by the developers. A Rehabilitation Award was given to the Rowan-Bradley building at the corner of Broadway and Pine, a classic example of the distinctive Art Deco style designed by Krempel & Erkes in 1930. Its restoration is significant as there are few other Art Deco examples existing on a building of this scale or with its elaborate polychrome terra cotta detailing. The owner, Ron Hodges, undertook an extensive project in restoring the mezzanine windows, the large storefront windows and the existing corner blade sign. The original two-story commercial building featured retail on the ground floor and office space above. Shannon’s Carvery, a new restaurant, will occupy the building’s corner street level space and a nightclub “At the Top” will occupy the second floor. 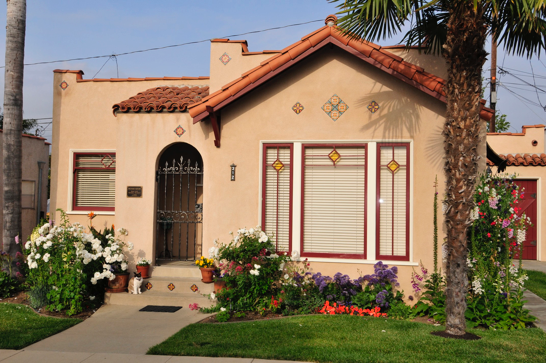 210 Promenade was originally built in 1926. Being severely damaged in the 1933 earthquake, it was remodeled by architects Schilling and Schilling and restored by creating a façade in the Streamline Moderne and Art Deco style. Over the years the façade changed as the ownership changed. The new owners, Greg and Graham Gill, working with Jan van Dijs Construction Management Company, have restored all the elements of the building’s façade to the original historical Schilling design. 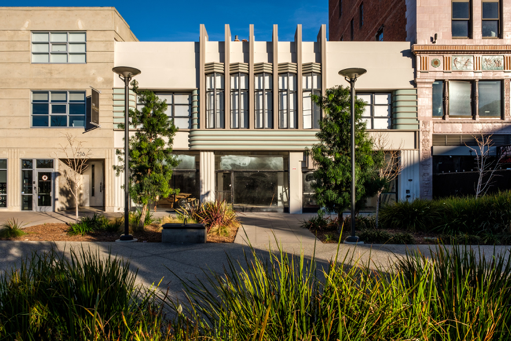 A well- deserved Restoration Award recognizes the exceptional work on this architecturally significant Streamline Moderne building. Hotel Royal, located at 432 E. Broadway, was built in 1923 and originally known as the Hotel Luzern. It was described as a “modern structure” back then even though, in the style of the day, it offered guests only shared bathrooms down the hall. 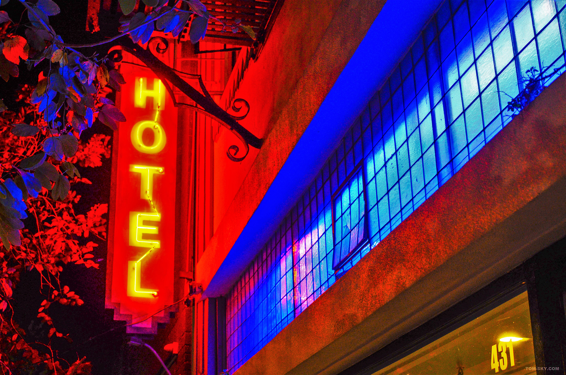 It has continued to operate as a hotel since 1923, although with much deferred maintenance until the new owners, Coralee and Eddie Chustz, purchased the building four years ago. After attending to urgent repairs they refurbished all the rooms. As a result of its extensive rehabilitation, all rooms now have sinks, some have toilets, two have kitchens, and one still has its original Murphy bed. The Rehabilitation Award was accepted by the current manager Joe Harding. St. Luke’s Episcopal Church which was built in 1917 was destroyed in the 1933 earthquake and reconstructed in 1934 by Soule and Murphy. 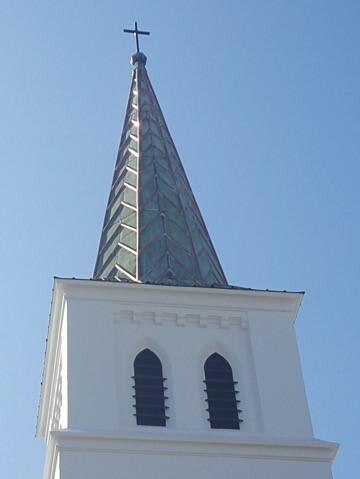 In 2015 the congregation recognized that they needed to rehabilitate the leaking 135 ft. copper steeple. Aided by a grant for partial funding from the Long Beach Navy Memorial Heritage Assn., the effort to save the steeple was spearheaded by Rob Bellevue, a congregant, Ricardo Avilla, the interim priest who provided direction, and Christine Koenring. They were able to reuse most of the original copper and what they couldn’t use, they found the exact type of copper from the original foundry in Vermont. All involved in the project are perfect examples of a small community donating time and resources to take care of a historical landmark. Their preservation and dedication to historical accuracy is to be commended. Rev. Jane Gould accepted the award for Craftsmanship/Preservation Technology for the St. Luke’s steeple. 312 Eliot Lane is a 575 sq. ft. one-bedroom house that was one of 60 so-called “Modern Bungalows” built in 1923 by builders Emmet Boland and Charles Smith. George and Avada Becker bought the house in 1925 and it has been in the Becker family ever since. Their granddaughter, Linda Babiak, currently lives there with her husband Tim. They spent 10 years restoring the house to its original appearance undoing much of her grandparents’ efforts at “modernization” in the 1960s. 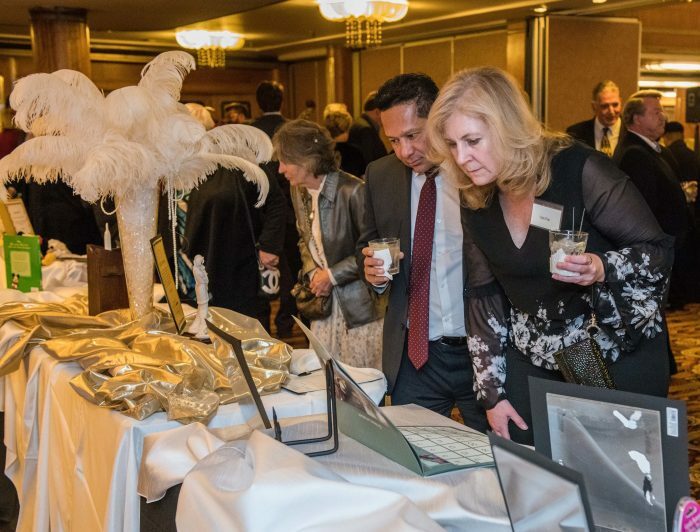 The extensive work on the windows, doors, baseboards, moldings, hardware and glass earned an Excellence in Rehabilitation award for Linda and Tim. Eliot Lane, built as a small tract of affordable homes, is a unique one street historic district between Colorado and Third Streets in Belmont Heights. Live music was performed by the Jazz Angels. 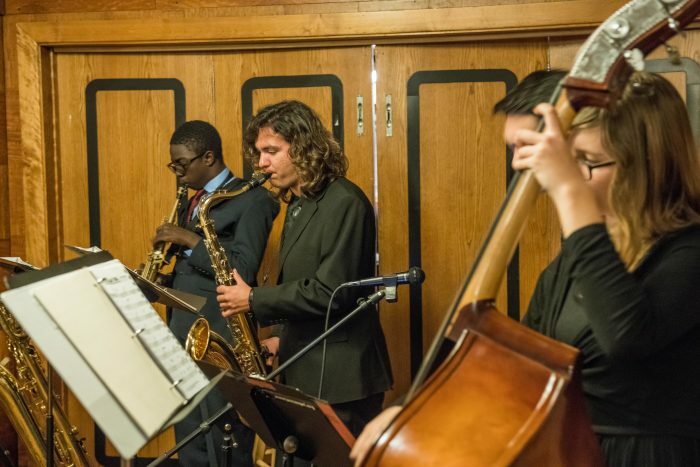 Jazz Angels is a non-profit organization whose purpose is to create an opportunity for young people to hear and learn about jazz, encourage them to play an instrument, and provide opportunities for them to perform.